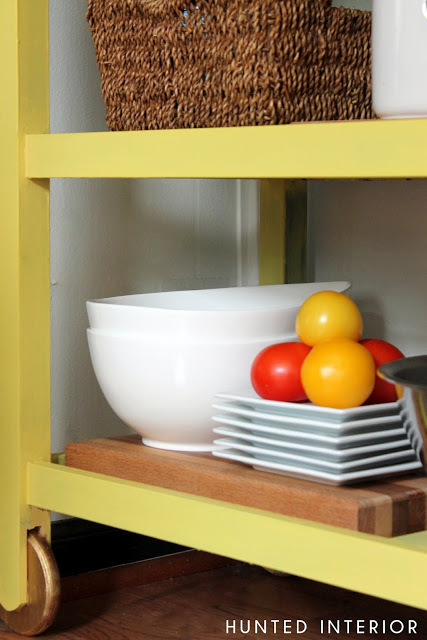 When we first moved into the house, we needed some extra counter space for our tiny kitchen… We had an awkward little corner that we modified an Ikea Forhoja to fit in. Can we say Basic McBasic?! We cut down the butcher block top so that it would fit perfectly in the nook. It has sat there, functioning ever since. Now that we are slowly but surely working on this kitchen & you all helped me determine a color to add I decided this would be a fun piece to update. I went to Home Depot and had them color match Benjamin Moore’s Wasabi into a sample for me. I then used this recipe to try my first attempt at DIY Chalk Paint. I thought it was going to be some miracle paint but I wasn’t blown away by the whole process… so let’s not make this post about that. It’s yellow. Once the piece was painted I knew I wanted to deal with those drawers. Not really a fan of the ever classy open finger pull & really not a fan of the fact that the drawers don’t stop when they close. There is no back so they just push all the way through. I needed a thin piece of wood that I could apply as a drawer front on top of the existing face… out to the shed I went. 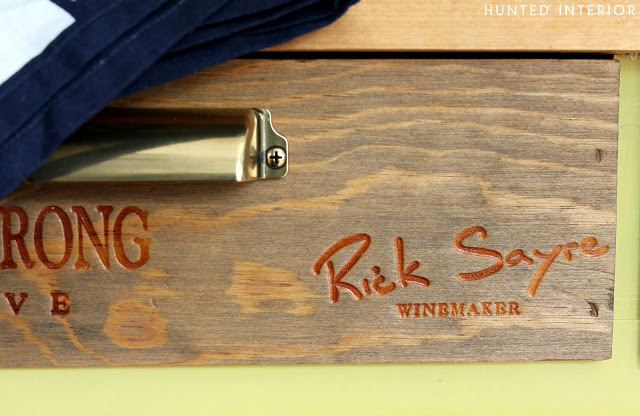 Thin wood, already the perfect size… HELLO WINE CRATES!!! My hubs is in the restaurant industry so we have tons of these just lying around. I remembered seeing this image on Pinterest… (no link!) & thought that it would be fun to introduce into our house. Thank you Martha Stewart for bringing decent hardware designs to Home Depot. Aren’t these lovely?! Only $3.98 too! This looks gorgeous! I am totally jealous of your supply of wine crates! That is so awesome!! What a transformation! I really love this idea. Super cool idea!! Fabulous pictures that you take! love this, i would love to feature it, if that would be ok with you please let me know. This is so awesome. I actually have the same IKEA table which I actually painted green. 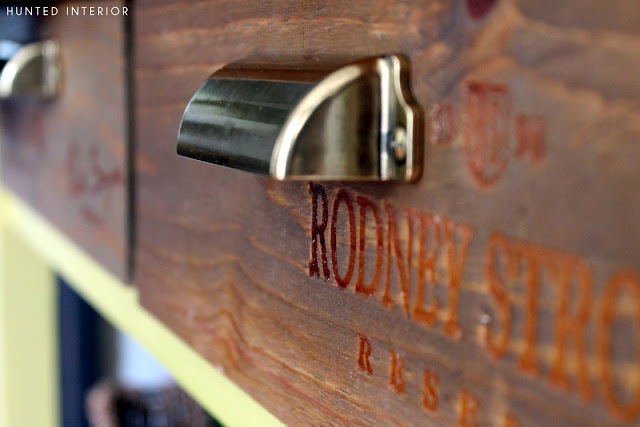 What do you recommend for people who don't have wine crates at hand? Or is there a place where you'd recommend buying them? Thanks Rozi! As I mentioned in the post, you can usually ask your local package store. They are typically free. Oh how I love this idea!! And another gal totally envious of your supply of wine crates…sure wish I was your neighbor! 🙂 Your tutorials are all wonderful….so happy I found your blog!! Blessings! This is fabulous! I love the hardware. 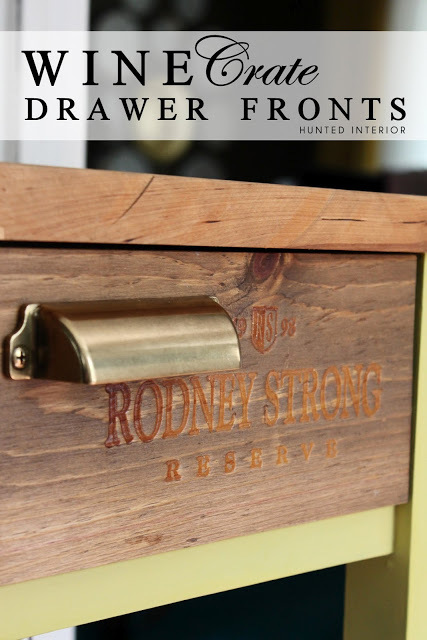 I actually have these pulls on my list of things to buy for my kitchen. They look great! We have the same piece and I find it sooo boring! It is a carry over from our old house. 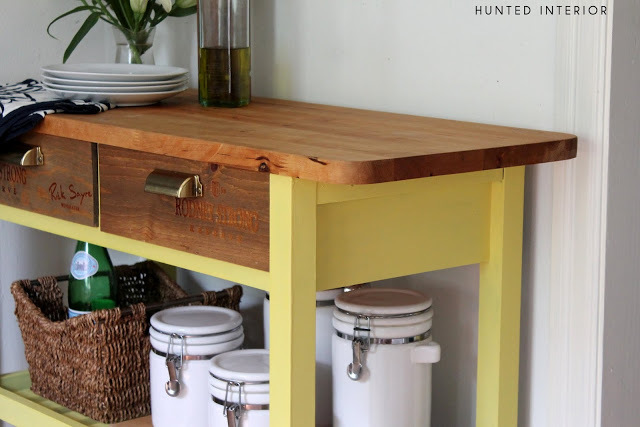 I would love to stain it – what prep did you have to do to the top? I'll be by to raid your shed this weekend! Don't be surprised to see me rummaging around out there! I love this idea! It looks great. What kind of stain did you use? was it a food safe stain or can I use just any stain? Thanks! Thanks! It was a regular Minwax stain. I believe I sealed it with a furniture wax… But any sealer would be fine.